Flying to the Moon, when you don't have a lot of propellant to hose around, is like a stone throw - a ballistic lob across 400,000 kilometres of space between two worlds. The impulse for this 'throw' came from the S-IVB stage of the Saturn V which added an additional 3 kilometres per second to their speed with a burn nearly 6 minutes long. As this translunar injection (TLI) burn progressed, it modified the spacecraft's circular orbit into an increasingly long, stretched elliptical orbit whose apogee reached further and further into space. By the time the S-IVB shut down, it had set the Apollo spacecraft on an orbit around Earth that had a perigee of only 170 kilometres, but with an apogee at an altitude of over half a million kilometres - if only the Moon had not been in the way! The precise details of Apollo's throw to the Moon, its duration, direction and timing, depended on a collection of constraints. 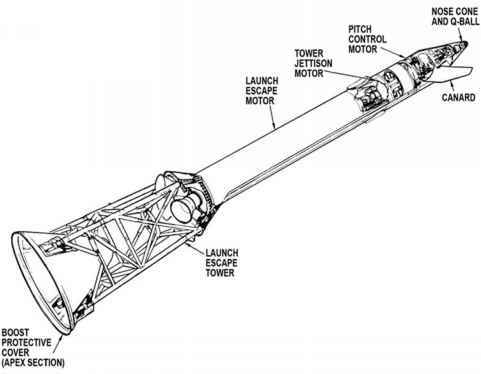 These were often contradictory, but they narrowed the possible options for the S-IVB's burn to a unique but very useful trajectory. One constraint was propellant, which becomes a very expensive commodity by having to be lifted off Earth's surface. Consequently, planners tended to prefer trajectories that did not demand long burns of rocket engines. Getting to the Moon was not going to be a quick affair. At the other end of the scale, there are ways of reaching the Moon that require very little propellant, but these result in complex trajectories that can take weeks or months to complete. The consumables carried on board the Apollo spacecraft would never last long enough and the physical endurance of the crew in the confined space would be sorely tested. For human spaceflight, there comes a point where the advantages of reduced propellant requirements become more than matched by the increases in food, power and radiation shielding required by the crew. Another constraint was the landing site. When Apollo reached the Moon and inserted itself into lunar orbit, that orbit had to pass over the landing site. Therefore, to save propellant, their trajectory had to place the spacecraft in the best position to achieve its orbit. Planners also had to consider the lighting conditions at the time of landing and the thermal conditions on the Moon's surface. Landings had therefore to be made in the lunar mornings to use the low angle sunlight and benign thermal environment. The choice of burn was further constrained by crew safety considerations. This was paramount in the minds of planners in view of Kennedy's pledge to return a crew safely to Earth. Any option that maximised NASA's ability to bring an endangered crew back home was keenly adopted. The engineering mantra was: if there is a problem with which you cannot deal directly, then do as little as possible in case you make things worse. What the planners really wanted was an option that would still allow the crew's safe return even if the spacecraft's propulsion system had completely failed. Fortuitously, one existed -the free-return trajectory.